Best wishes for a new year full of exciting scoops, newsworthy moments and prize-winning storytelling! Do you remember the first time you connected with other Asian American journalists? For me, it was in 1996 at the national convention in St. Paul–and it felt like a homecoming to meet people who not only shared my cultural values, but also my passion for the craft of journalism. Now, 15 years later, I consider myself personally and professionally to be a product of AAJA. I’ve connected with mentors throughout the industry because of the expansive network of our members. And I’ve formed deep bonds with those mentors by spending long hours collaborating with them on AAJA projects–on the “Voices” convention news project, preparing group presentations for the Executive Leadership Program or hammering out policies with the National Board. So many of you have shared with me stories that bear the same outline: You felt adrift until you discovered the kinship and the resources of the AAJA family–resources that include programs designed to foster personal growth and professional success for a lifetime, and that offer the newest Asian American journalists the same kind of mentorship that I received. When I look at those who are stepping up to lead AAJA today, I’m excited to see a fresh generation of go-getters working side by side with familiar veteran faces. Together, they reflect the spirit of AAJA: We are an organization that is steeped in tradition, but one that always keeps an eye on the horizon so nothing that the future brings comes as a surprise. As incoming president, I’m committed to fostering this spirit for generations to come. But I’ll need your help to ensure that AAJA–in the heartfelt words of my predecessor–continues to reach out and lean in. This year brings an important milestone for us: We will mark 30 years since our founding in Los Angeles by six visionary pioneers. We commemorated our debt to Dwight Chuman, David Kishiyama, Frank Kwan, Bill Sing, Tritia Toyota and Nancy Yoshihara when AAJA returned to its birthplace for the 2010 convention. Now, it’s time to pay that debt forward. To highlight how far AAJA has come since 1981, we’re planning a variety of ways for members and other supporters to help strengthen AAJA, by taking the Power of One and multiplying it by 30. And we’ll be asking you to help us by contributing, whether that means 30 seconds to introduce AAJA to a new funder, 30 days volunteering with your local chapter or 30 testimonials that you collect to inspire a student to pursue journalism as a profession. And, yes, we’ll be asking you to reach into your wallets–whether that means $30 or $30,000, we want you to donate an amount meaningful to you. If you’re ready to pledge yourself to our 30th anniversary, I’m only an e-mail away:aajadoris@yahoo.com. In the next two years, I’ll be on a 21-chapter Listening Tour, which began with my recent visits to our members in Asia and Hawai’i. Sometimes, it can be a challenge to get the attention of an organization’s leadership, especially one as far-flung as ours. So I’m committed to bringing AAJA’s leadership to you. I want to hear your ideas for how we can better serve you. And I will do my part to help extend our chapters’ outreach into your communities – to raise AAJA’s profile, and to broaden our pool of supporters both within and beyond journalism. Because there has never been a more exciting time to be engaged with AAJA. Under the leadership of my predecessor, Sharon Chan, and our outstanding executive director, Kathy Chow, our organization has regained firm financial footing. With that secure foundation in place, there’s no limit to how far we can travel in the next two years – and beyond–if our collective hands are rowing the ship in the same direction. Before I close, I’d like to thank The Washington Post, which has enthusiastically offered its support to me and to AAJA as I take up this awe-inspiring responsibility. In a challenging time for our industry, I’m proud to work for a company that still puts diversity and its advocates at the forefront of its priorities. I’m eager to hear from you about where AAJA needs to go next. Not just this year or in 2012, but 30 years from now: Where do you imagine AAJA should be? Please share with me your vision, your hopes and your goals, because the job of getting there is something that will take all of us, working together. And as we do, I am certain that we can leave a legacy from AAJA’s first 30 years that will carry us well beyond the next 30. PacificBasin Communications, Hawaii’s largest locally-owned magazine publisher, is seeking an Online/Associate Editor to work on HAWAI`I Magazine, a bi-monthly national magazine targeting the west-bound U.S. traveler to Hawaii. Its assets are the print product, website, e-newsletter, Facebook account, Twitter account and other ancillary products. * Also important is the online/associate editor’s ability to work in concert with the publisher and editor to create content that will help build ad revenue; maintain a highly trafficked website for visitors seeking to enhance their Hawaii experience; build a social networking fan base; and produce a monthly e-newsletter. * These initiatives and the online/associate editor’s performance will be measured in part by online revenue, online traffic statistics, reader surveys, focus groups, industry feedback and subscription renewals and newsstand sales. *Work collaboratively with the Editor and Art Director to help develop strategies that define the editorial future of the magazine, website, social networking platforms, events and ancillary products including mobile and smartphone applications. *Work with the editor to articulate, plan and execute a multi-platform future for HAWAII Magazine, identifying current and prospective audience markets and products to serve the needs of those markets, identifying core travel content where HAWAII Magazine will lead the discussion. * Work with the editor and others to continuously improve editorial content to maintain the highest degree of relevancy and interest to the readership. Develop relevant content to respond to existing and new reader segments as determined in concert with the publisher. Budget content and set the mix of editorial products to most efficiently meet reader needs. * Develop content two issues out within the first six months in position, and continue to have content appropriate to HAWAIIMagazine’s editorial vision and strategic focus developed a minimum of two issues in advance going forward. * Review all editorial content; edit copy, with the editor research and write at least 50% of all stories for each issue while meeting all deadlines and budgetary objectives. * Monitor layouts, headlines and work with the art director to develop a consistent visual style for HAWAII Magazine. * Be the lead for developing and writing original content for the website; conceiving and producing multimedia features, including audio, video and still images, either within our sites or for emerging technologies such as wireless, downloadable audio, video or audio-visual broadcasts. Work with the editor to help to develop and write the monthly e-newsletter. * Communicate with and work effectively with the sales, creative and circulation departments to achieve the business goals of themagazine. * Must have working knowledge or strong interest in learning and working with web software and programs including Dreamweaver, Photoshop, Joomla, WordPress, Email Service Providers, and others. To apply, please respond HAWAI`I Magazine editor Derek Paiva at derekp@hawaiimagazine.com with your resume by Friday, December 24, 2010 or by postal mail to HAWAI`I Magazine ATTN: HUMAN RESOURCES, 1000 Bishop Street Suite 405, Honolulu HI 96813. I still remember waking up to a flood of e-mails in March 2009. An Asian American journalist, Roxana Saberi, had been detained in Iran. We sprang into action. We called for her release. Two weeks later, another flood of e-mails. Laura Ling and Euna Lee had been arrested in North Korea while reporting along the border. Again, we spoke out. We weren’t sure they would ever be free. This August, Roxana shared my hotel room and her experience with you. Laura and Euna shared our dinner table and what it was like to wait in a prison cell. Embracing Laura, Euna and Roxana, surrounded by our founders, members and students where AAJA was founded, was the most profound moment of my term. Think about how far we’ve come in the past two years. Not just Laura, Euna and Roxana. AAJA. Thank you for the opportunity and the privilege to serve you. I have always been passionate about our mission of diversity. But watching newspapers fold and seeing our friends get laid off these past two years made me realize that diversity is more than just important–it’s the answer to fundamental challenges facing our business. This industry needs diversity of perspectives, skills, technology, revenue and platforms. We rode this economic rollercoaster and AAJA has emerged stronger than ever. 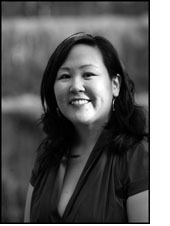 We changed executive directors and we are now headed into AAJA’s 30th year with the excellent Kathy Chow at the helm. We are projected to end 2010 with a $399,000 surplus, compared to a $207,000 deficit last year. We repaid our $154,000 endowment loan, plus interest above U.S. prime lending rate. Our membership has stabilized at 1,500. We added another star to the flag–AAJA Denver is our 21st chapter. We continue to innovate with our ELP Media Demonstration Projects with new business models and new platforms for delivering news. 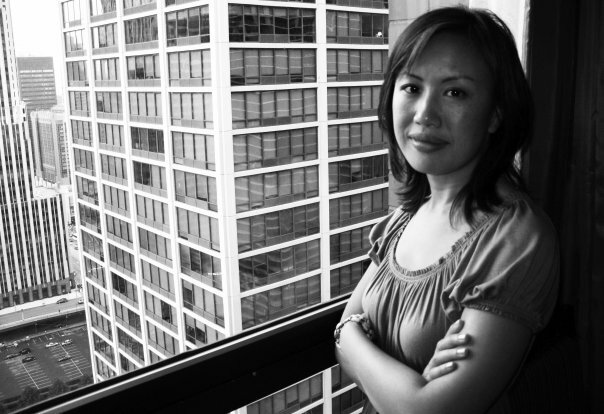 Your new president Doris Truong will take AAJA to amazing new heights. I love Doris for her dedication to AAJA, passion for our mission and gunner work ethic, and I am honored to get to keep working with her as UNITY vice president. There are so many people to thank–first off, you, for being a member. Also: our dream team of national officers, dedicated AAJA Governing and Advisory Board members, chapter presidents who came in with financial support for AAJA in a tough economy, our passionate J Camp, ELP and Voices program directors, our veteran members who served on task forces and committees, the younger generation of leaders mentoring and supporting each other, our tireless staff and our sponsors who make it all possible. A very special thank you goes to The Seattle Times, our publisher Frank Blethen and my executive editor David Boardman. In a time of utmost financial duress, the company paid for my travel and gave me the time to serve you. The history of support for diversity here is long and it is steadfast. The people who first folded me into the AAJA flock all came from this newsroom: former AAJA national officers Janet Tu and Mark Watanabe, Doug Kim and grizzly man Alex Macleod. My final requests to you: Renew your membership. Make a donation to AAJA Power of One. Save the date for our 2011 convention in Detroit, Aug. 10-13. Reach out and lean in. Meeting commenced at 11:15 a.m. Attendance: Gene, Wes, Lauren, Joe, Christine, Christina plus guest, Carolyn, Travis, Margot, Shauna, Jason, Blaine, Kenny plus guest. I. The Vice President’s Report was moved to the front of the agenda because Joe could not stay for lunch. Gene said he still had no answer whether the Star Advertiser employees would be able to enter AAJA Hawaii awards. Carolyn asked if we were opening the awards up worldwide. Joe said no. Christine asked about whether or not we should have an online category added to the awards. Brief discussion, not added to categories at present. Christine and Carolyn volunteered to head the AAJA Hawaii awards committee. II. November minutes were approved. September minutes do not exist because there was no official meeting. October minutes are still MIA, Kristen will take a look. a. Kristen reminded everyone to renew their membership with AAJA if they haven’t already. b. What is the password to AAJA Facebook. Will get with Gene. Gene wants to acquire AAJAHI.org and said Blaine Fergustrom would be interested in helping us get a more official website going. c. Kristen asked to post short bios for all new officers on Facebook. Suggestion noted. d. Kristen suggested fundraising at Denny’s and passed around a flier. e. Kristen proposed we make secretary in charge of elections every year. Board had concerns about board member managing elections without being biased. Christina said check with Chicago chapter because they were the ones who first notified me of the secretary being in charge. f. Jan 21 – 22 Seminar at East West Center, Gene reminded everyone there were few spaces left as of that morning. Several members logged on right then and took several more spaces. g. Kristen suggested all officers make a binder for all incoming officers detailing what you are supposed to do in your office. Wes suggested as in past years each outgoing officer meets incoming and gives them a personal brief about their job. h. Kristen asked if we could get Stephen OFF the bank account. No one seems to have contact with him yet. i. Kristen announced she was on the Special Awards Committee for convention. a. Stan said in an email it was noted at the Treasurer’s Meeting over the summer at the National Convention that all chapters should keep an eye towards fundraising. Our chapter has spent money on many worthy things, whether it’s helping our members attend the National Convention every summer, providing scholarships, donating to the National Office, or purchasing snacks for the guest speakers at workshops we’ve held. We also haven’t brought in much money over the past several years, with the exception of our annual summer media basketball league. As we move into 2011, let’s keep in mind fundraising ideas that will support our chapter, allowing us to continue doing greater things. Stan also reported October and November minutes via email. Shauna asked why the October and November numbers are the same. Kristen didn’t know and will ask Stan. A. Margot suggested we find the AAJA Hawaii mission statement and reevaluate it and change it because we have a different environment with Hawaii having majority Asian journalists rather than being the minority like the mainland. Wes said he would have to check with national to make sure that’s allowed. B. Margot suggested we have a discussion panel about what it means to be ethnic media in Hawaii. So this would include Hawaii Hispanic News, etc. in addition to Hawaii Herald, etc. This would be not only for attendees to acquire a greater understanding of the texture of this socio-cultural-political landscape, but also would be a way for aspiring journalists to see that they have more options than meets the eye for future job considerations. The panel could be just one element of the proposed ongoing AAJA Hawaii mentorship with student journalism programs. Christina suggested rather than a panel to have a mentorship program between reporters. C. Christina asked if College night were still feasible. Lauren to email Kalamalama, Gene to talk to UH. Christina said a Saturday night in March may be best. D. Kenny volunteered to work on a possible poker night tournament as a fundraiser. E. Gene suggested we have Jake Shimabukuro perform at one of our events. A. Wes reported from his meeting that national is considering adding a National VP of Online. He has been asked to get feedback from the chapter. Some people are saying that’s redundant because print, broadcast and radio all have online stories as well. March 4-6 is the next governing board meeting. The next convention is in Detroit, Mich. Good venue, casino nearby, hotel room rate is about $X. From Aug. 10-13, Wes said we should be receiving a packet soon. Wes mentioned that the projection for convention attendance is a conservative 500 attendees. There is no keynote speaker yet. Wes said hopefully chapters will get a cut from the dues like they used to, but no confirmation yet. VII. Next meeting – Jan. 29 at 9:30 Star Advertiser. Call Gene.